The Luxe Bidet Neo 120 is a single nozzle, fresh water, non-electric mechanical bidet attachment, featuring an innovative self-cleaning nozzle, in the Luxe Bidet Neo Elite Series. 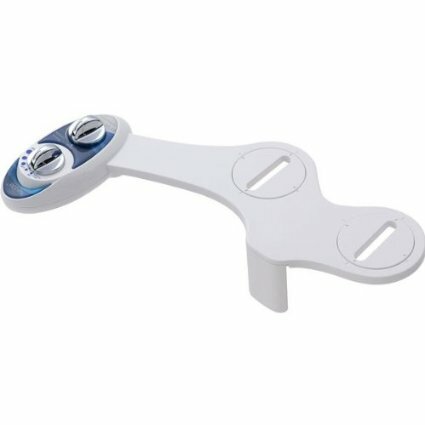 The Neo 120 easily attaches to and detaches from any standard two-piece toilet, and features a chrome-plated water pressure control knob, high-pressure faucet quality valves with metal/ceramic core, and moveable protective nozzle guard gate. The sleek and innovative design allows the sanitary nozzle to retract when not in use. "Excellent bang for the buck, looks good, works great"